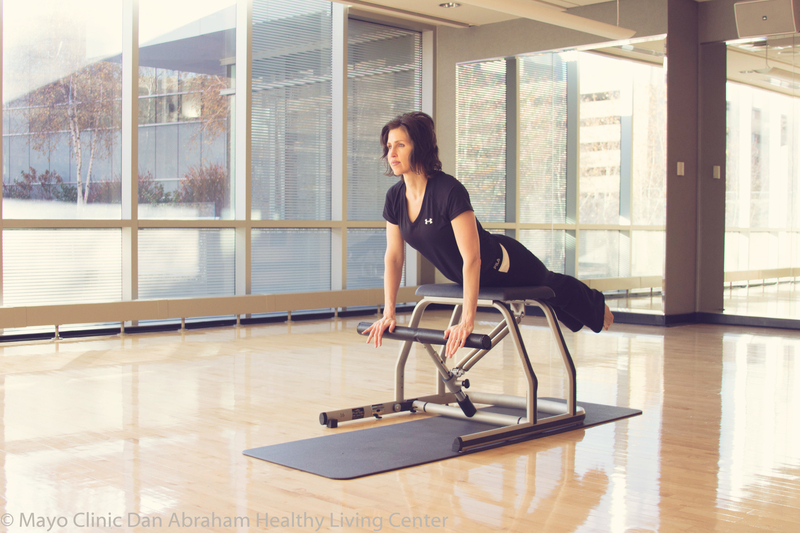 The Pilates Sculpt classes use a small piece of equipment called the Chair. The Chair has one pedal with varying degrees of resistance. The student performs exercises using the Chair to challenge core stability. Some traditional weight work is incorporated as well. The DAHLC also offers a class called Pilates Balance & Control which uses the chair but is geared toward achieving stability through balance moves. All classes using the Chair are drop-in.